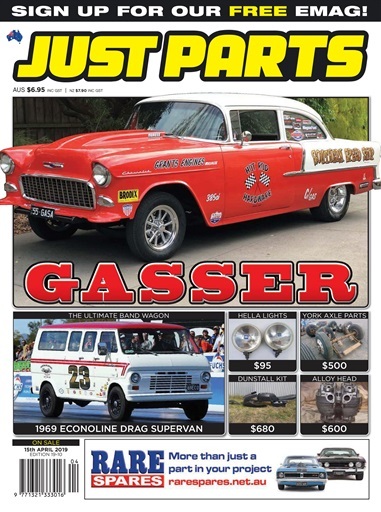 (0 Customer Reviews) | Write Review 12 issues per year Just Parts is Australia’s spare parts supermarket. From rare and specialist parts dealers through to the largest number of private parts sellers, if you’re a vehicle enthusiast then this is a subscription you can’t afford to be without! JUST PARTS is Australia’s spare parts supermarket. From rare and specialist parts dealers through to the largest number of private parts sellers, if you’re a vehicle enthusiast then this is a subscription you can’t afford to be without! You'll receive 12 issues during a 1 year JUST PARTS magazine subscription. You'll receive 12 issues during a 1 year JUST PARTS magazine print subscription.